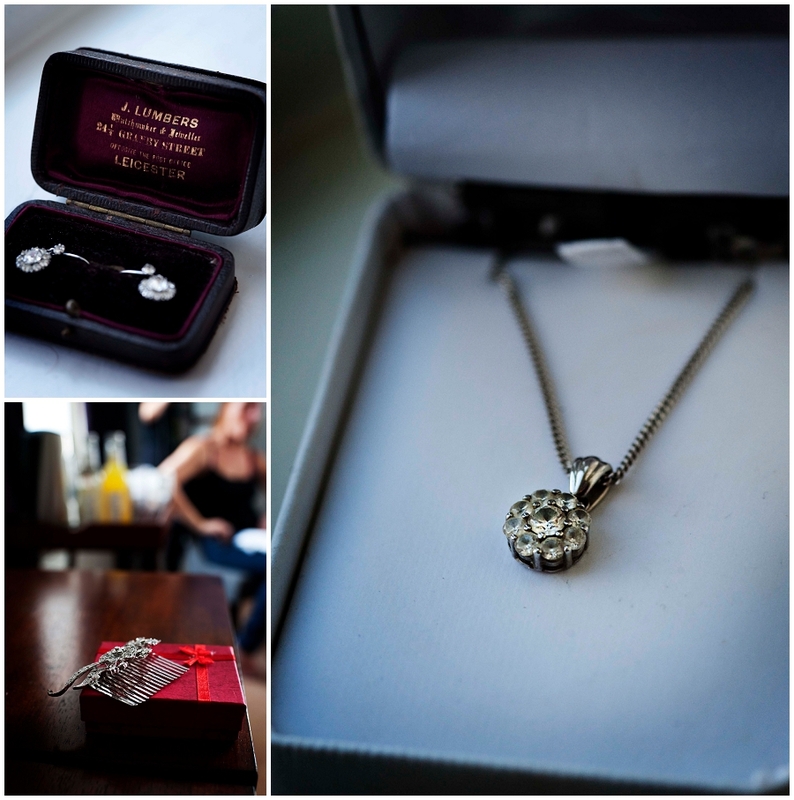 Joe & Gez’s Winter Wedding at The Devonshire Fell. Joe & Gez are two of the great people that we met on our NCT course so when they asked us to capture their intimate wedding in the Yorkshire Dales, we were absolutely thrilled to bits. They are a wonderful couple, chilled as and great fun to be around. 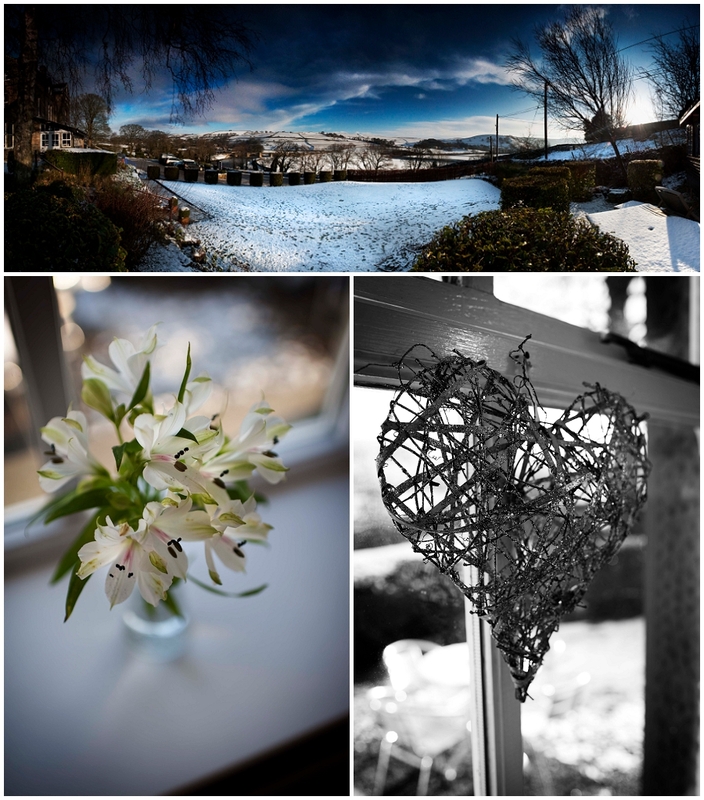 Their wedding was to be a relaxed affair at The Devonshire Fell in Burnsall – their only stipulation was that they were hoping for snow, so true to form we conjured up the requisite white stuff and all was good!! Joe looked stunning in a beautiful Alfred Angelo dress matched to Jenny Packham shoes and was wearing a special necklace to go with a pair of earrings that had been worn originally by Gez’s grandmother at her wedding, followed by his mum and eventually no doubt by Hannah by J Lumbers of Leicester. Whilst not to be outdone, Gez and his groomsmen looked equally suave in their tweed 3 piece suits, brogues and snazzy ties, pretty cool gents The flowers were simple yet beautiful by Annemarie Wilkinson. They were blessed with real Yorkshire winter weather, cold clear perfect blue skies with a low sun which made for some pretty amazing shots. A clear starlit evening was perfect for their big surprise for everyone, an amazing display by Optimum Fireworks which would have given NYE in London a run for it’s money. The entire day was amazing, it was so “them” – chilled out & relaxed with most of their family and friends to celebrate with them, with some notable exceptions who took pride of place in Gez’s truly emotional and heartfelt speech. The best man Jim’s speech (well done that man) had enough bro-mance whilst still keeping Gez on his toes, there were some amazing shapes pulled on the dance floor (particularly loved the robot Gez) and enough love, laughter and emotion to fill the Albert Hall. A cracking day guys, we loved every minute of it. © 2019 Lee Watson Bespoke Wedding Photography|ProPhoto Photography Website by NetRivet, Inc.